New Orleans is a place where young people go to never grow up; where old people stay to stay young; and where wanderers like me go to reclaim their childish imagination. One must dig up all the cliched superlatives and downright hyperboles to describe what feels like a town of creative outlaws. 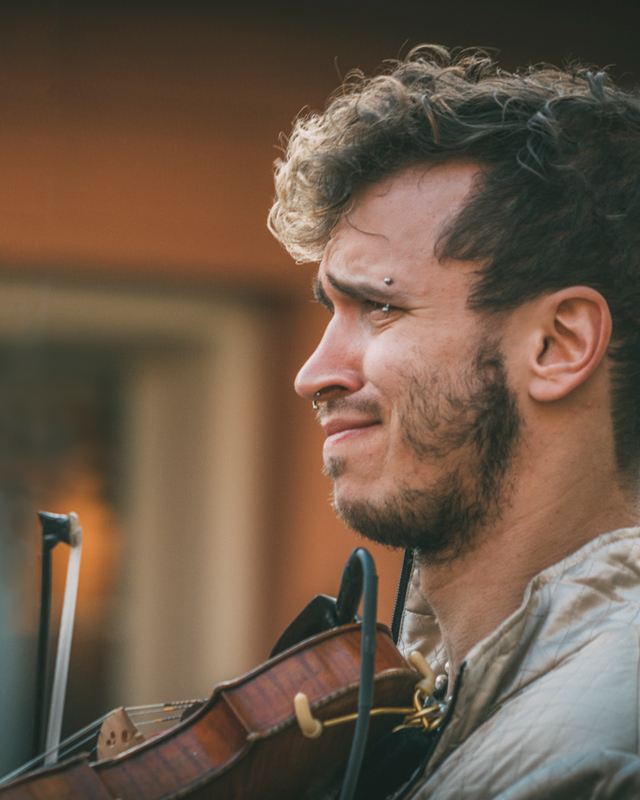 I felt like a time traveler in New Orleans, maybe because of the time of life I’m in — soul-searching and open with a heart ready to receive all the impish treats on those ancient streets; all those forgotten gypsy jazz chords; and all the kindness of New Orleanian strangers. It is a warm city, not only because of the indefatigable pink patina of the French Quarter, but because of the collective spirit of its people, many of whom traded their midwestern stoicism for the joie de vivre that’s as naturally acquired as a local drivers license. Being that I never wanted to leave this Neverland, I canceled my ticket and stayed an extra week! Here is part one of my 20 things to eat, see, and do in The Big Easy. 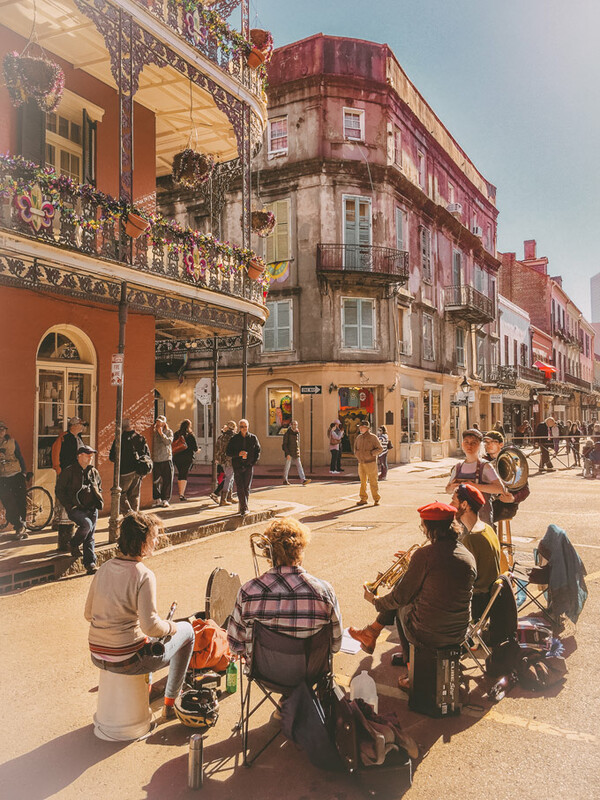 Royal and St. Peter streets in the French Quarter might be the most romantic corner in the world, not for lovers but for anyone who can appreciate the soft afternoon light pouring across ancient architecture onto fiddles, banjos, and brass. There will most always be a washboard player. 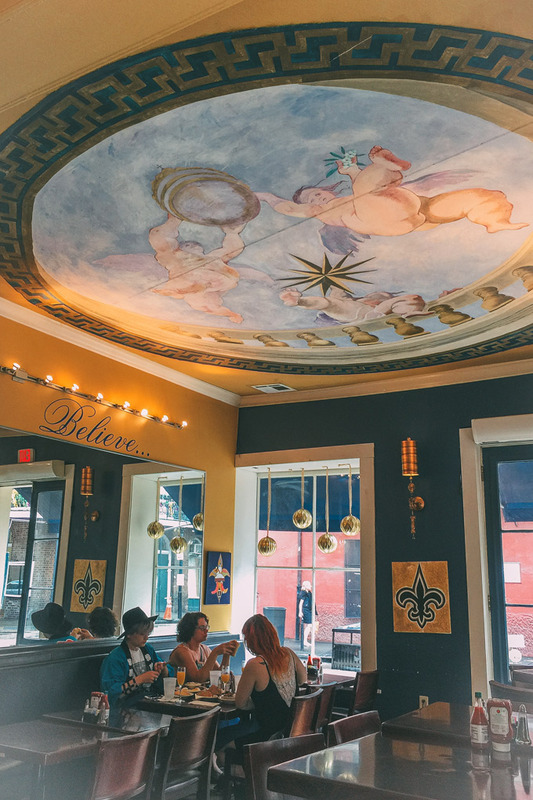 It is a corner where the word “boho” isn’t quite enough to describe the scene, but will certainly suffice in the absence of a language devoted only to the description of New Orleans. Only the best musicians set up impromptu stages on this corner, busking to hundreds of passersby in various stages of wanderlust and inebriation. Go to Royal and St. Peter and see, feel, and hear for yourself New Orleans in a nutshell. 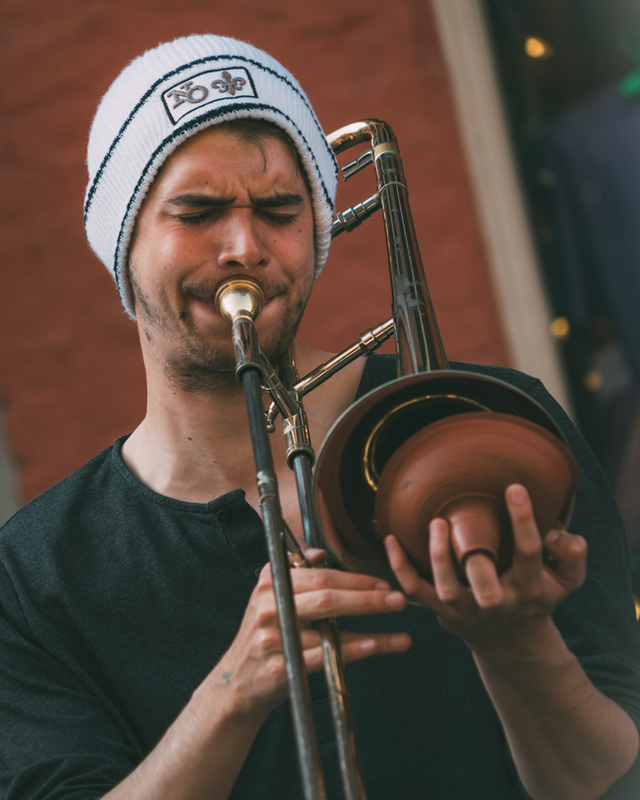 Basically, any corner in the French Quarter is likely to have buskers of all genres. 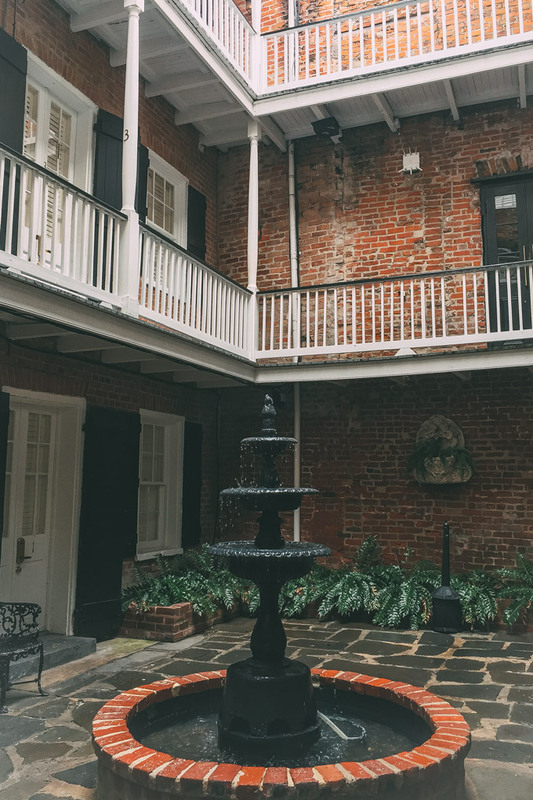 This former Creole townhouse was built in 1833 and remodeled in 2011. Echoes of the past are prominent in this space, which has a gorgeous stone courtyard with a fountain. The Vampire Diaries was filmed here, which is not surprising given its spooky Spanish charm. The petite room is modern, tiny, and sufficient for one, especially if you’re going to get out and enjoy the city. The deluxe room is comfortable for two, but doesn’t offer the quiet of a petite because it opens to the shared courtyard. The staff at Hotel Royal is incredibly helpful and friendly (I even went to dance practice with the receptionist). You can’t beat the location for proximity to all the French Quarter action and Royal Street is positively my favorite. Down the street from Hotel Royal, 801 Royal is a local favorite has the friendliest bartenders, great shrimp Po’ Boys, and (you didn’t hear it from me) free shots if you stay a while. Pony up to the bar and mingle with the regulars or grab a hearty breakfast on your way to Nola festivities. 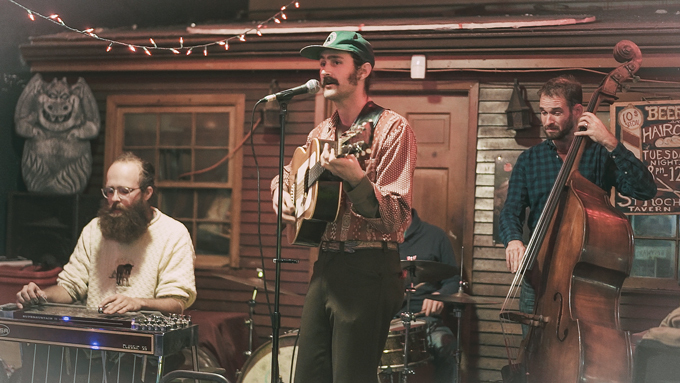 St. Roch Tavern is likely the only pub in town where you can catch live music, order Mexican food, and get a haircut. This local hangout is a bobbysocks throwback, and I mean that in the best possible way. 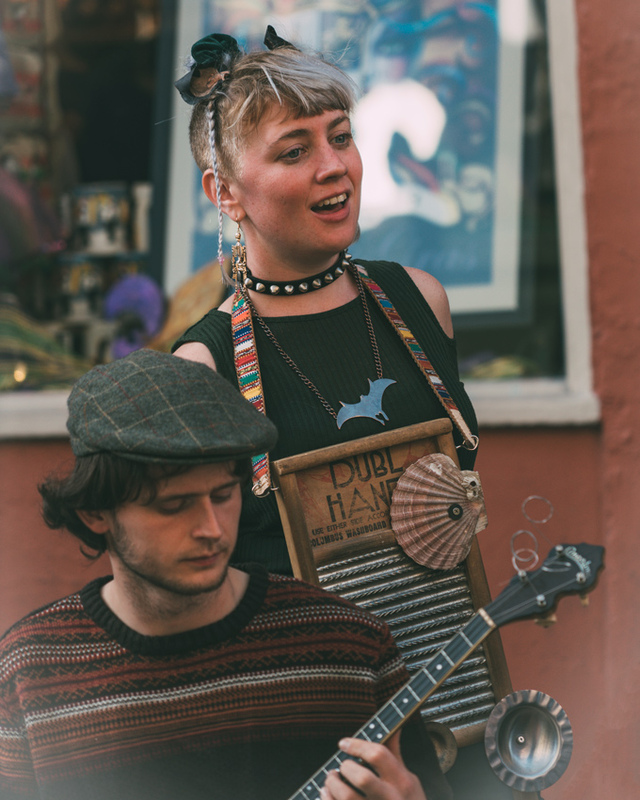 Oozing warmth and charm, touring acts and local bands play a mix of honky tonk love songs and modern rockabilly (is that a thing? ), while patrons play pool in the background, or yes, get their hair did. I’d recommend the Bettie Page because that’s what all the cute girls are wearing at St. Roch Tavern. Pretty much the most touristy thing on this list, Mardi Gras World is still a spectacle worth beholding. Go behind the scenes of the largest producer of Mardi Gras props and floats in Nola. 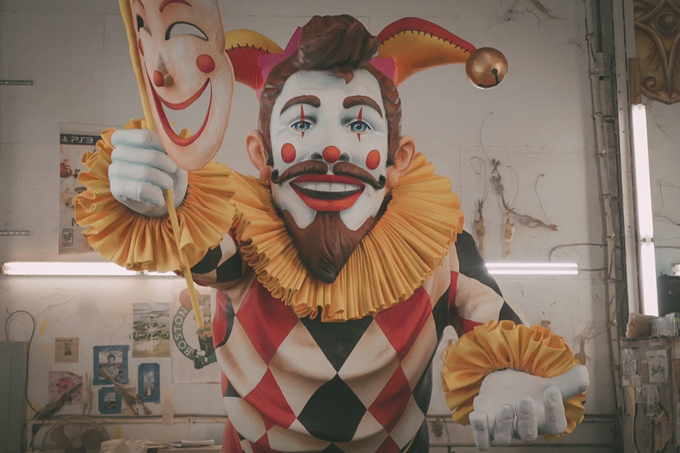 The guided tour pulls back the curtain on the design and fabrication of the massive sets you’ll see rolling down the streets of New Orleans during Carnival. Finn McCool’s Irish Pub is my recommendation for non-hipster sports fans. It’s a true Irish pub in the sense that there will most likely be UK football playing and patrons yelling at TVs. There’s a healthy dose of karaoke and killer food coming out of the kitchen. The fried brussel sprouts do not disappoint. Listen to your Lyft drivers when they recommend places to eat — they know whatsupp and will not usually lead you astray. Port of Call is widely known as having the best burgers in town, and because I don’t eat burgers much, I waited until I was super hungry to test this hypothesis. Yep, they’re that good. 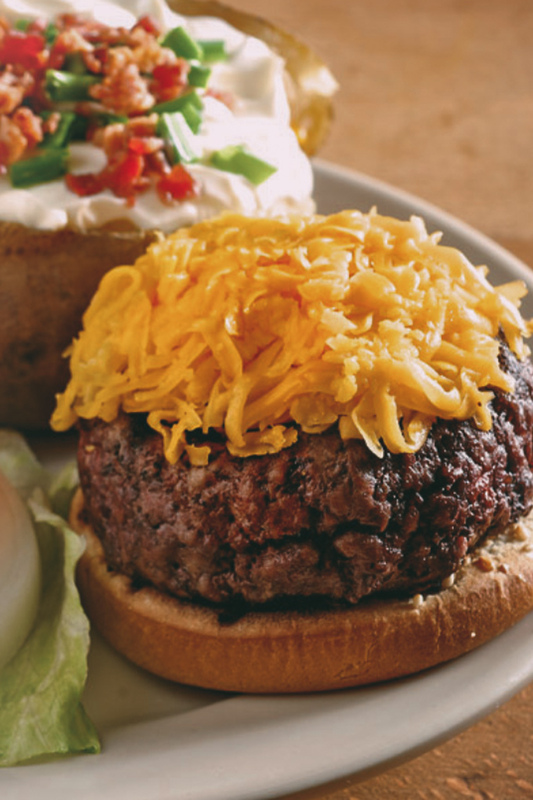 The dimly-lit tavern has an unabashedly retro steakhouse vibe and doesn’t serve french fries. 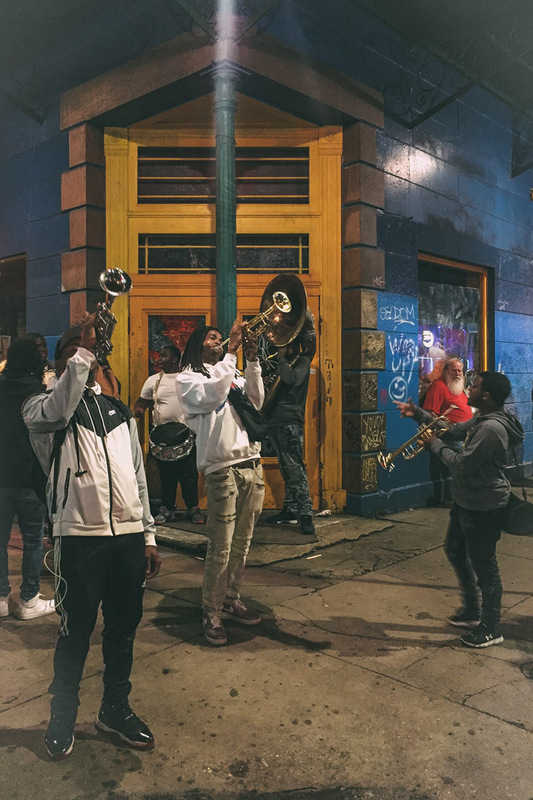 The vibe on Frenchmen Street when a street jam breaks out is so convivial you’d think if we just had more brass bands, humans could achieve world peace. 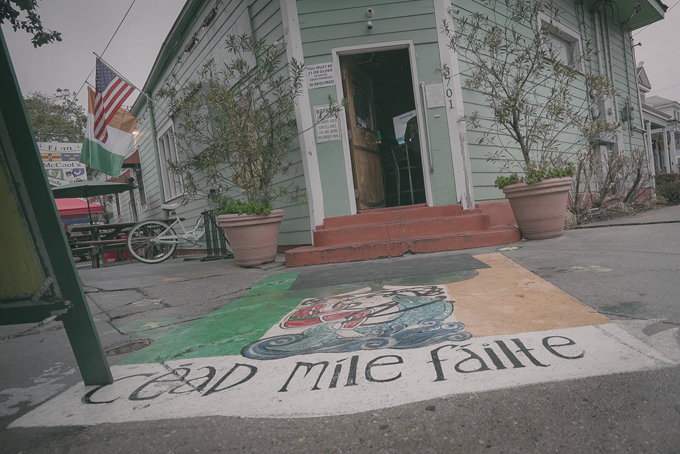 Not only is Frenchmen Street the de facto for music clubs in Nola, its streets are just as entertaining. Most clubs don’t have a cover (but some require a drink purchase), so you can hop from zydeco to R&B to rock and back all night if you please. 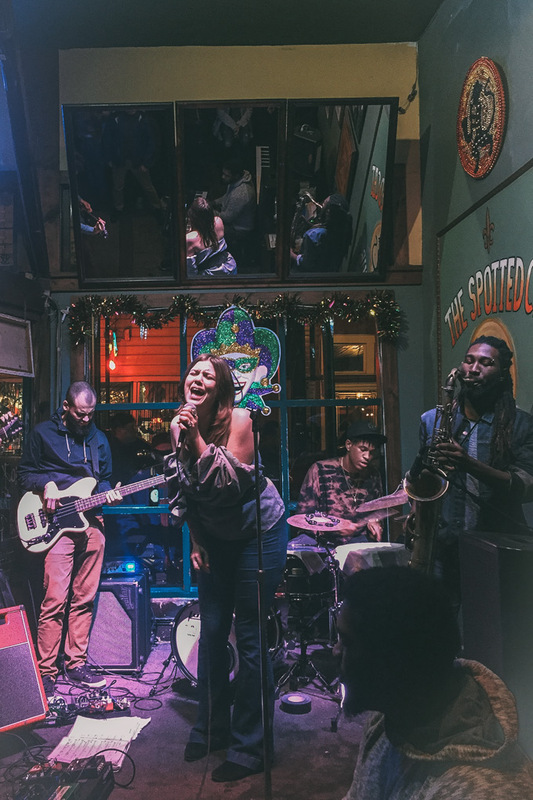 With a stage so tiny, the keys player sits at the foot of it, The Spotted Cat Music Club is as intimate as it is bestowed with Nola’s biggest talent. I popped in one night while club hopping to catch the second half of Kristina Morales’ lit set. With not a wasted solo, the band was so tight and funky, I felt the ghost of James Brown in the house. Jump in early or between sets to grab a front row seat at the bar. Skip the touristy French Market, which increasingly sells tourist junk, and head to the tiny, but colorful Frenchmen Art Garage on — you guessed it — Frenchmen Street. Artists’ booths are manned by the artists themselves, where everything from makeup to jewelry to spray painted suits are for sale. These are true one-of-a-kind pieces and not just the bric-a-brac you will sell at your next garage sale. 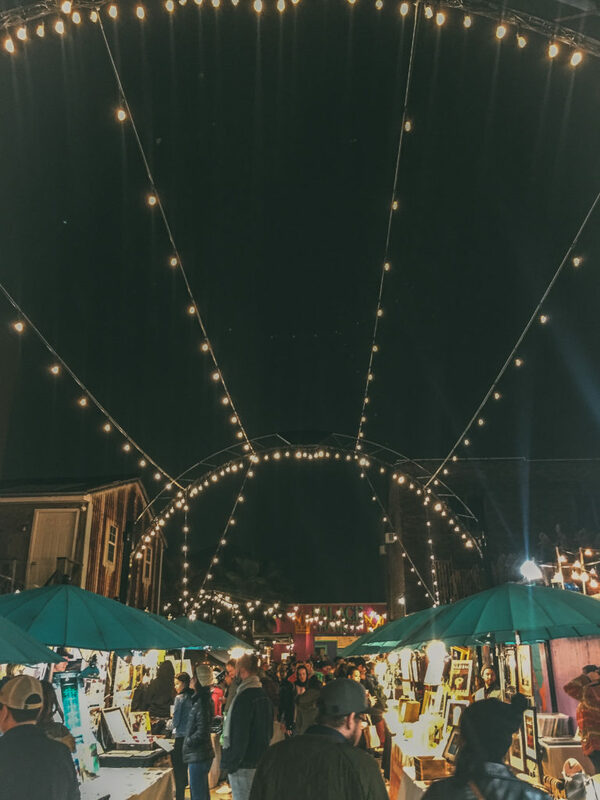 Do you have a favorite thing to do in New Orleans?